The Leader of the House of Representatives, Femi Gbajabiamila, on Sunday facilitated the release of 40 inmates of KirikirI Medium Security Prison in Lagos as he clocked 55. 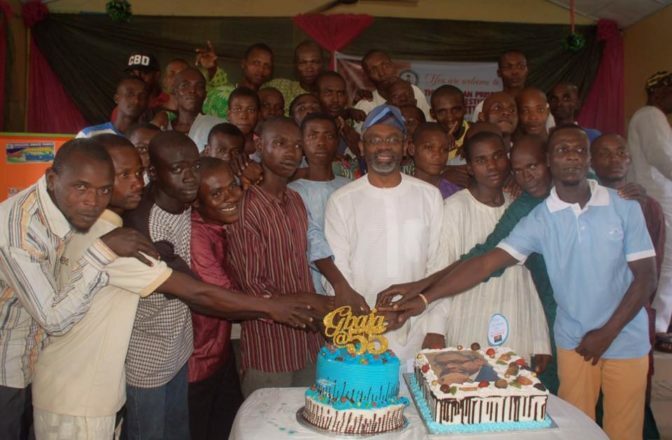 Gbajabiamila, who cut his birthday cake at a prison decongestion initiative for the release of the inmates at the prison, said the gesture was also in the spirit of the Eid-el-Fitr. He said that the 40 inmates were unable to pay their fines. ”We decided to think out of the box to add value to the lives of other people we may not know. ”We are not releasing criminals; these are men who had the misfortune of finding themselves here by misdemeanour – hawking, loitering and the like – but couldn’t be out for inability to pay their fines. ”Some have been here for six months for inability to pay N10, 000, N20,000, and I think this is a reflection of poverty,” the lawmaker said. He said that lawyers were involved in going through the case files of the released inmates, and their fines had been paid. Gbajabiamila urged the freed prisoners to sin no more, and celebrate the rest of the Eid-el-Fitr with their families. He used the opportunity to re- emphasise the need for unity in the country, noting that the released inmates were chosen without ethnic, religious or political reasons, ‘but because they are Nigerians’. The senior lawmaker said that divisive agitation in the country was due to marginalisation. He also called for removal of prisons from the exclusive list so that states would be able to play roles that would help to decongest prisons. 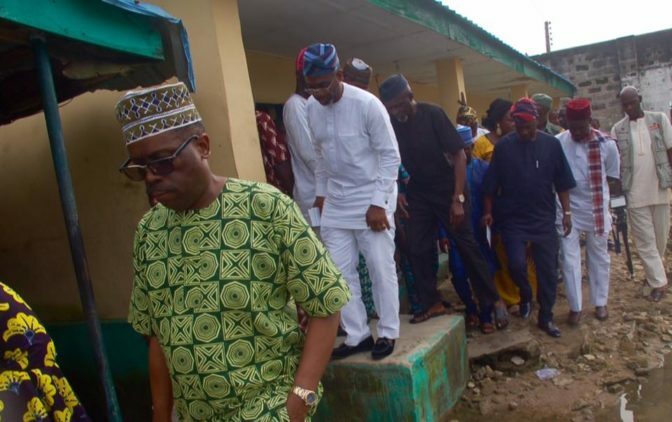 Gbajabiamila also said that magistrates contributed to congestion in prisons by remanding some accused persons on whose cases they had no jurisdiction. He called for a change as well as equipment of the police for better investigation. Earlier, the officer in charge of Kirikiri Medium Security Prison, DCP, Oluwaniyi Emmanuel, thanked the lawmaker for the initiative, and said it was unprecedented. He appealed for help to make the prison better, saying the facility meant for 1700 had 3553 inmates. 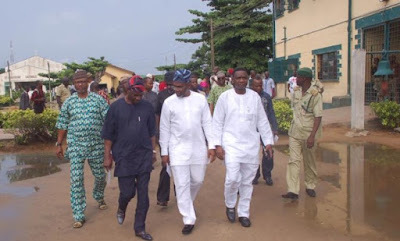 One of the freed inmates, Ugbo Joseph, thanked Gbajabiamila, and prayed God to bless him. Several members of the House of Representatives witnessed the event.